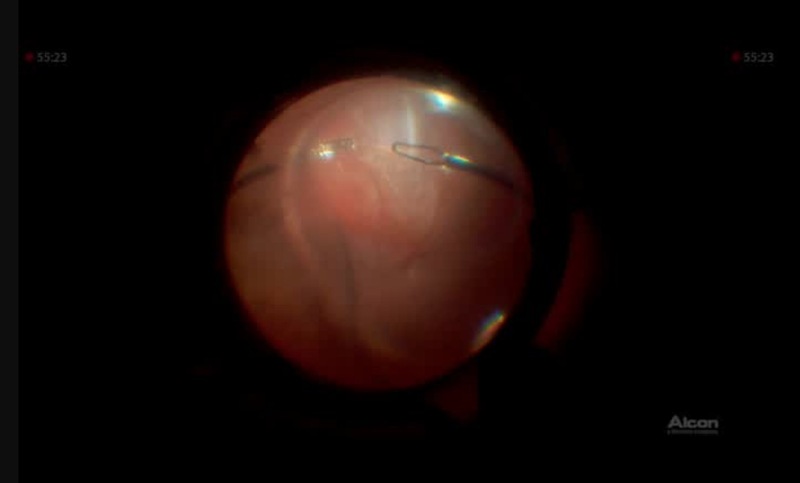 Martin Charles, MD, performs 25-gauge four-port vitrectomy using valved trocar-cannulas and a chandelier light for the surgical repair of a redetached retina in a patient with proliferative vitreoretinopathy (PVR) and Marfan syndrome. congratulations Martin Charles, great surgery !!!! !